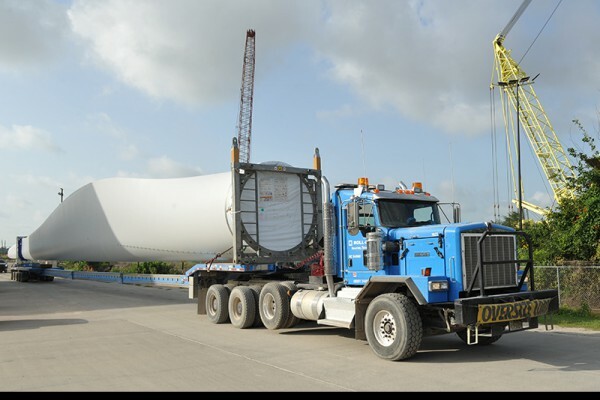 Roll-Lift USA transported the first 67 meter windmill blades to arrive in the United States. In order to transport these Vestas blades engineered modifications were made to our 48 meter Nooteboom trailers. These blades were transported from shipside to place of rest at Industrial Terminal, eventually they will be transported to rail at Greensport Terminal for shipment to Pueblo Colorado.